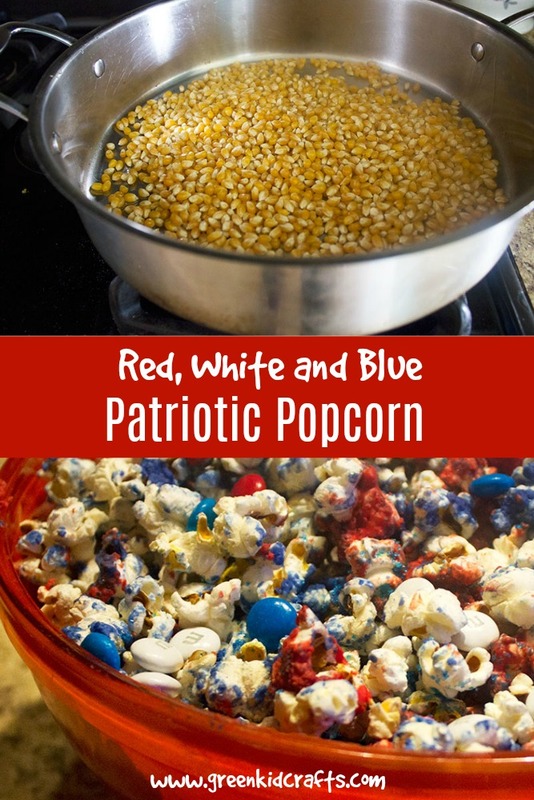 Red, white and blue popcorn is the perfect snack to set out while kids run around the backyard at a family barbecue. 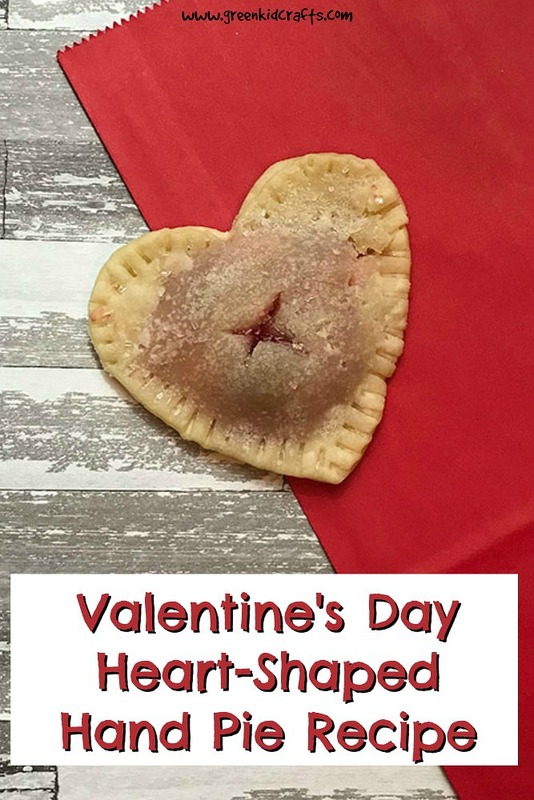 It’s also easy to make and can be prepared ahead of time so you’re not stressing about the snack table after the afternoon’s Fourth of July festivities! 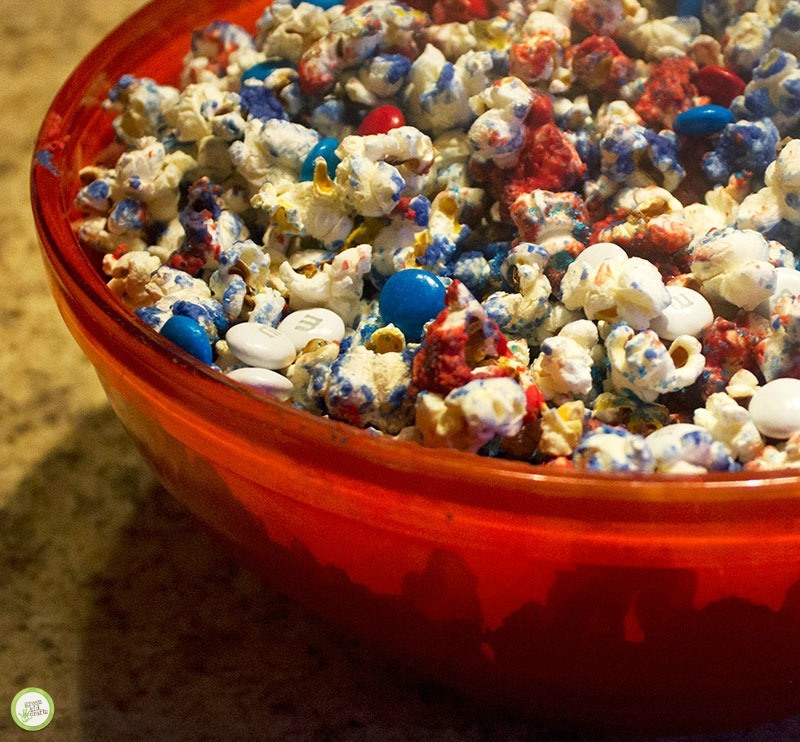 This recipe calls for red and blue candy melts to make the red, white and blue popcorn but you can use any candy melt colors to match your party decor. 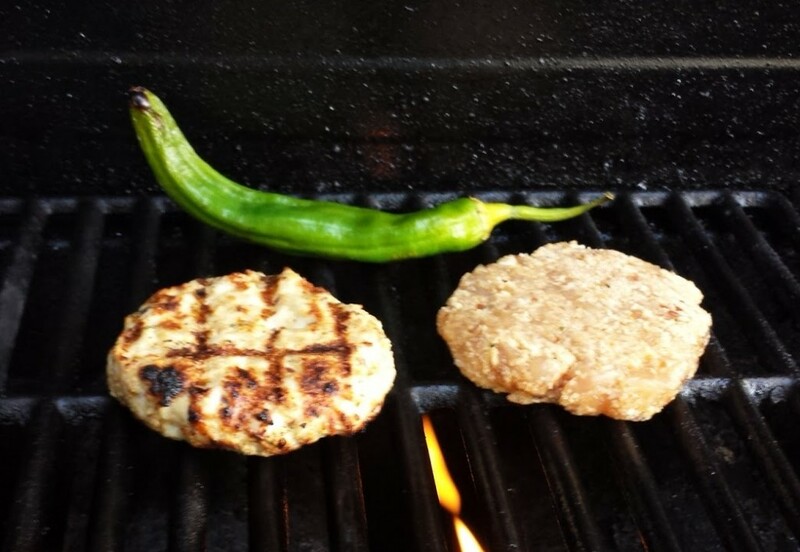 Preparing a winter holiday treat? 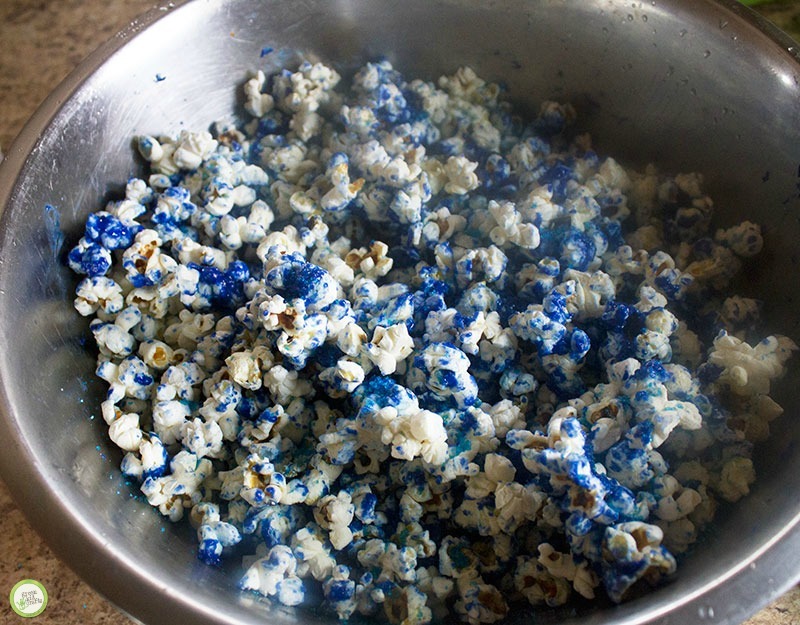 Just use blue candy melts or make red and green popcorn. This could also be a fun fall treat for a child’s class using orange and yellow candy melts with popcorn. While popcorn is popping, melt candy melts in separate containers. 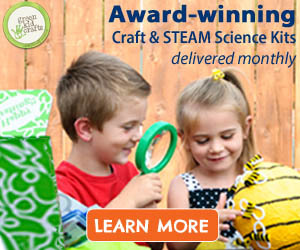 Try Our Music Science Discovery Box! 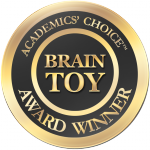 Get ready to learn about the science of sound with our jam-packed Music Science box, which contains an unprecedented SEVEN award-winning Creativity and STEM Science Kits! With this box, your pint-sized musicologists will learn about vibration and pitch by creating two different types of kazoos, about sound waves and volume by making maracas and a balloon rattle, and about rhythm by designing their own finger cymbals, box guitar, and rhythm bells. This Discovery Box celebrates music and sound with fun and creative projects that will have everyone moving and grooving long afterwards.